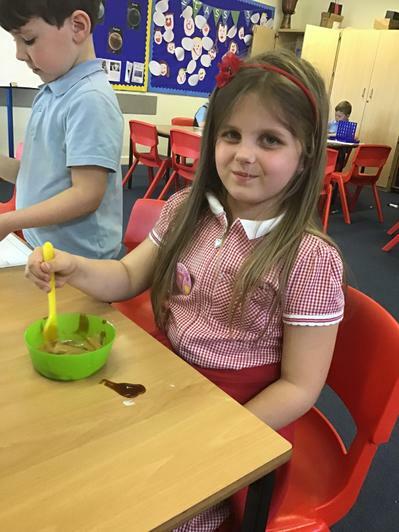 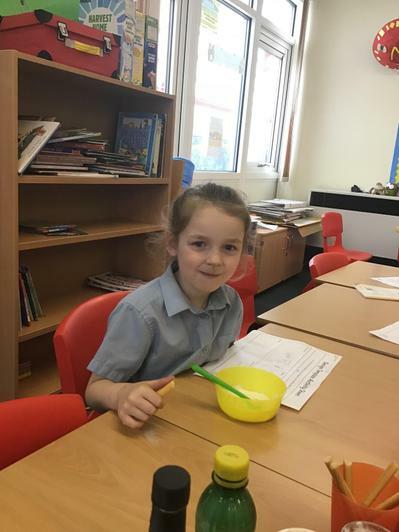 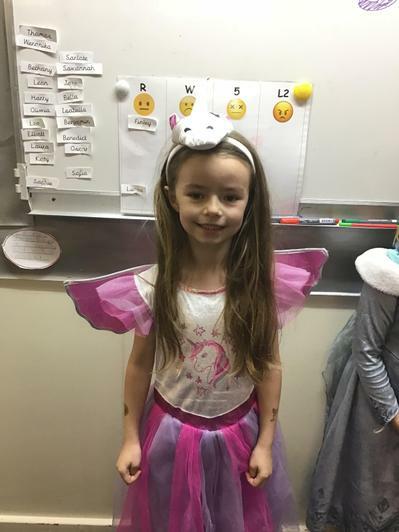 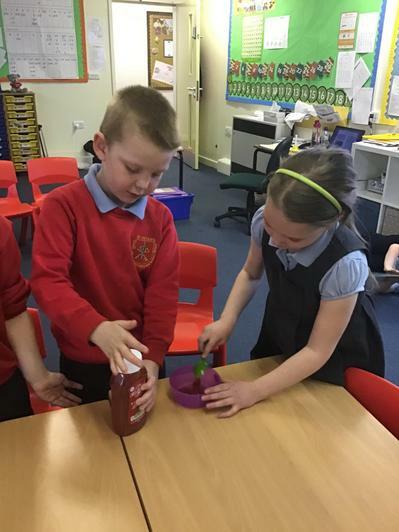 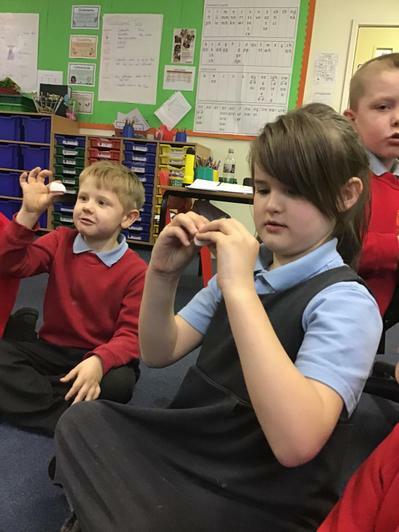 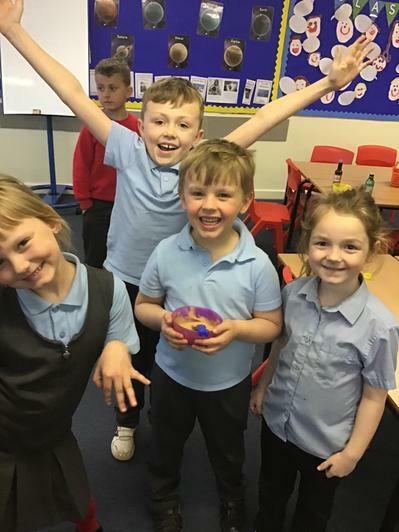 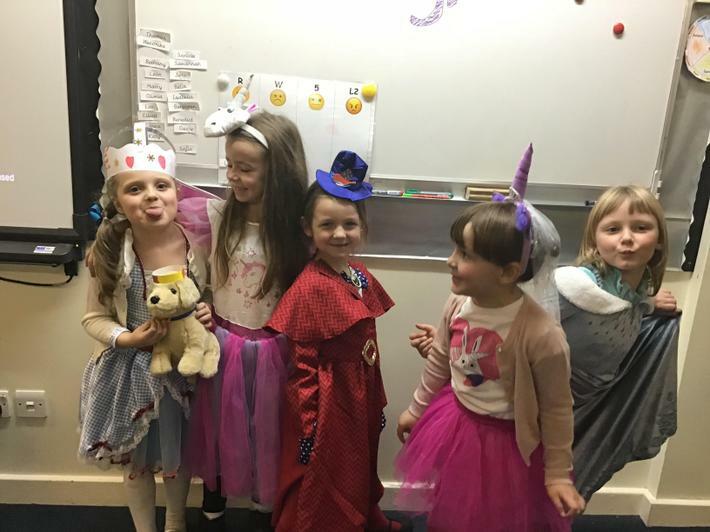 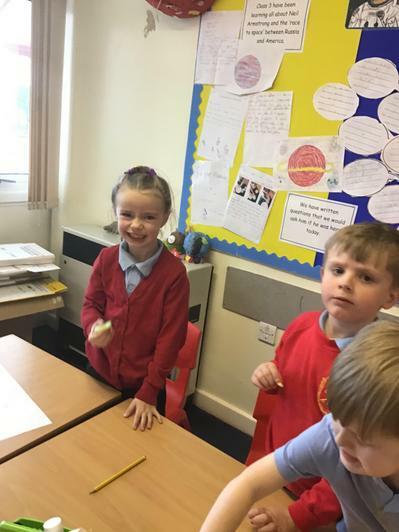 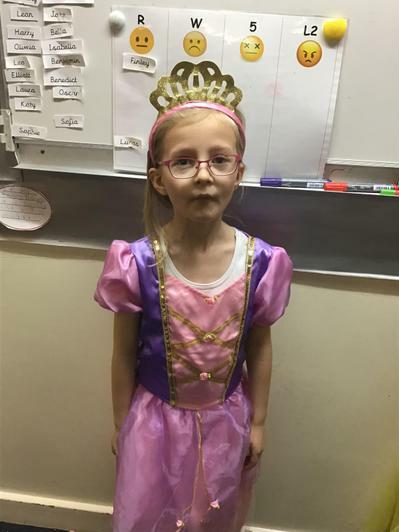 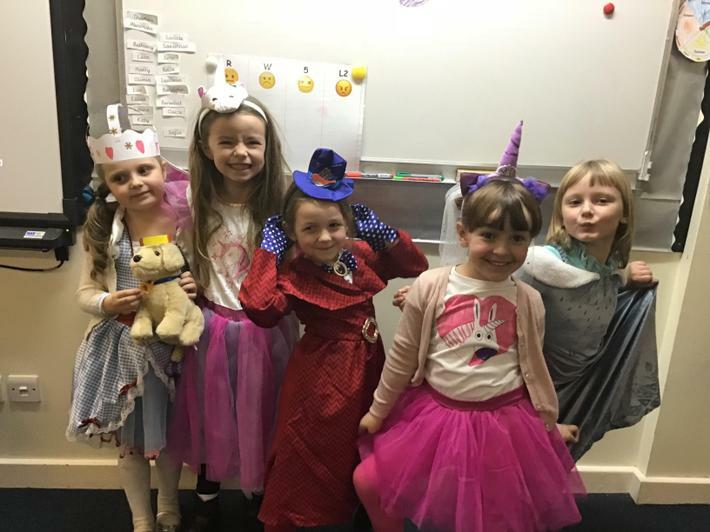 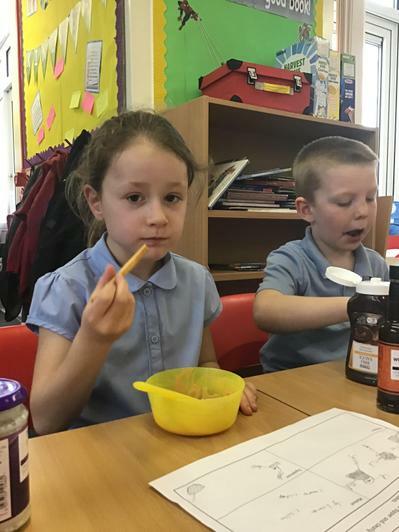 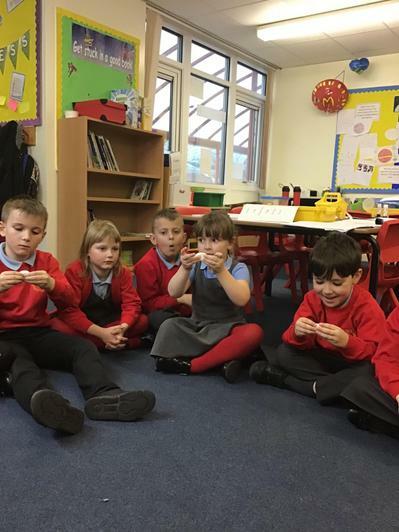 This week in Topic lessons, we have been learning all about 'dips and dippers'. 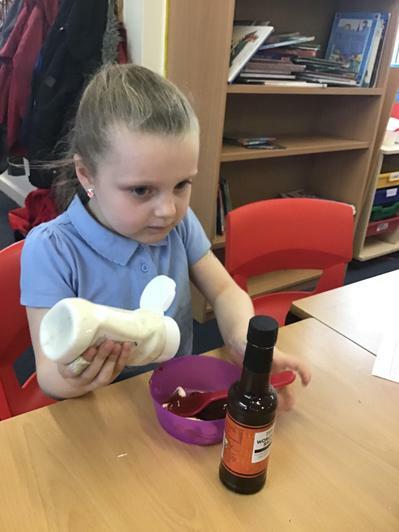 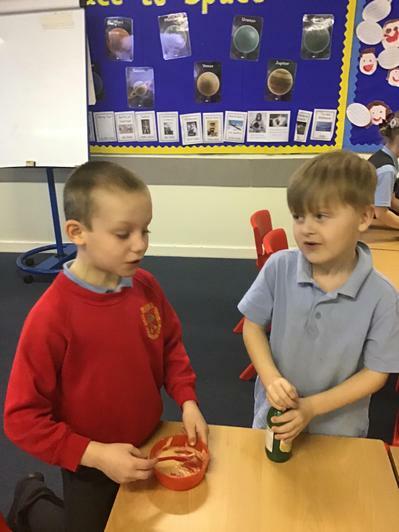 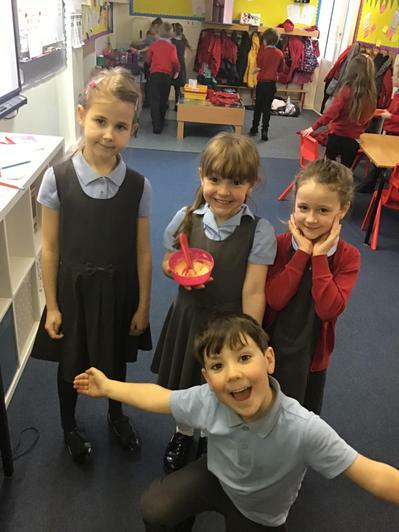 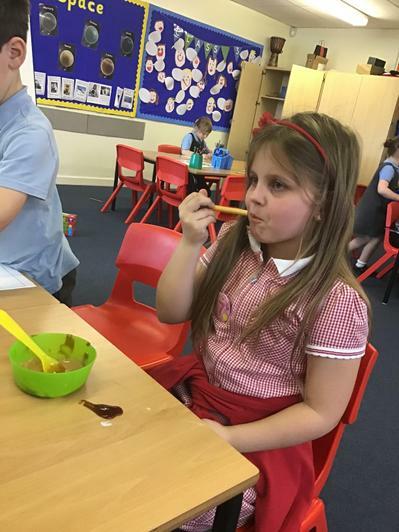 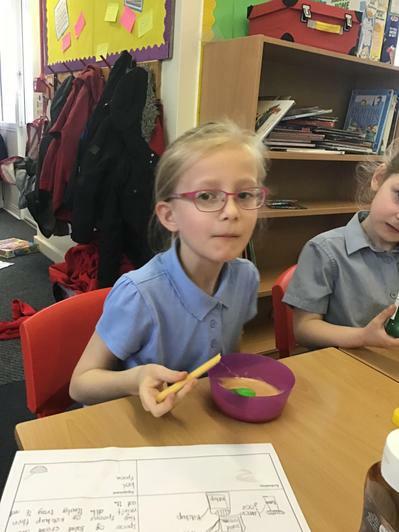 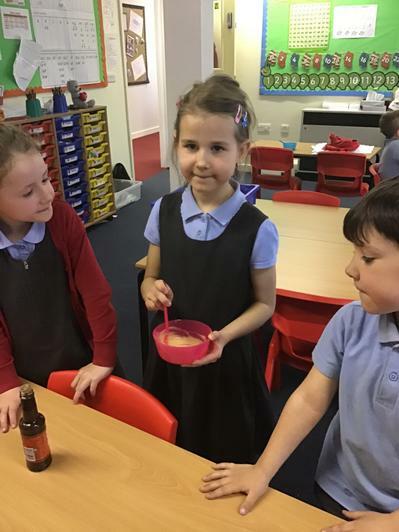 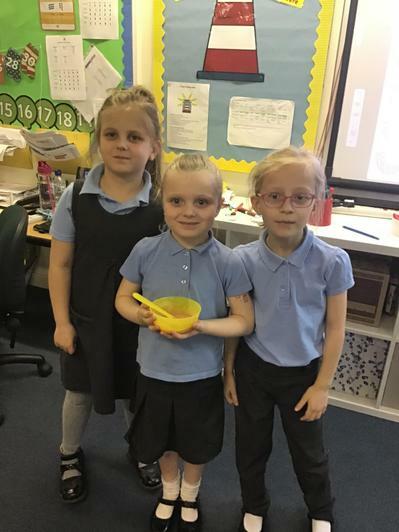 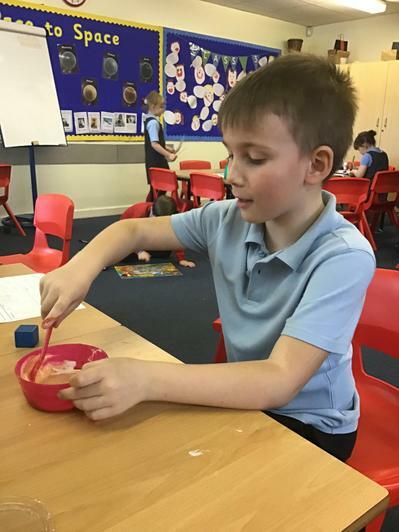 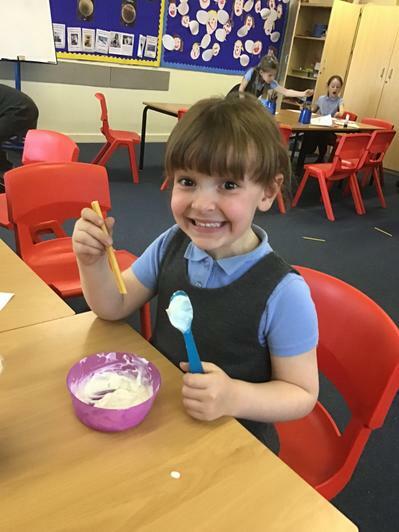 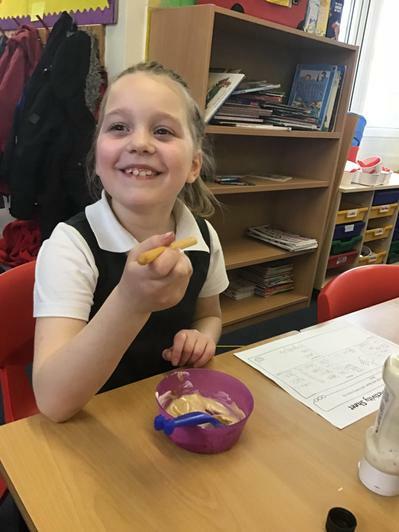 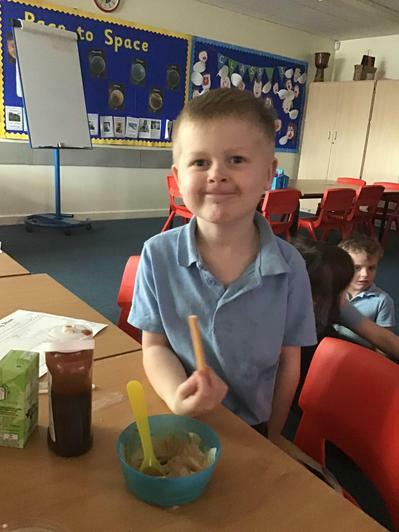 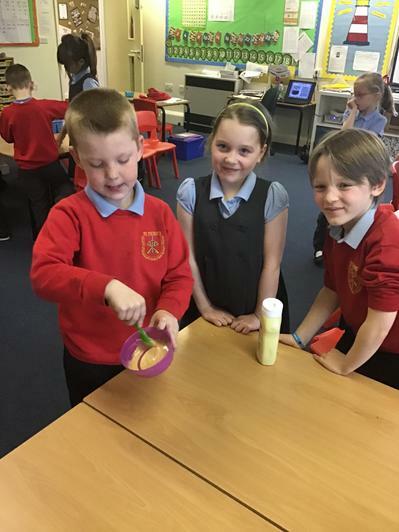 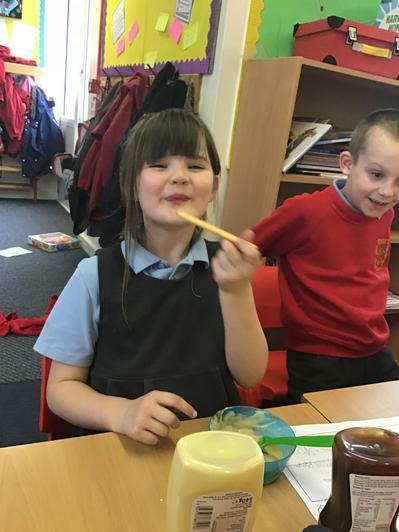 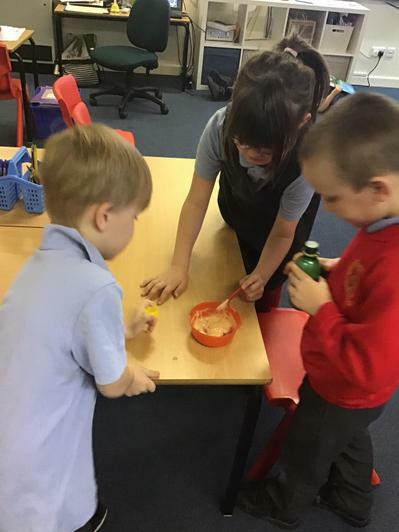 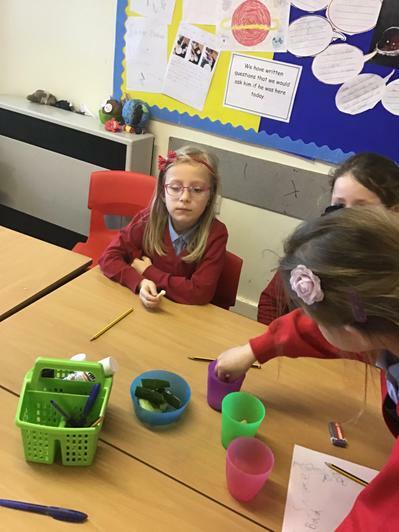 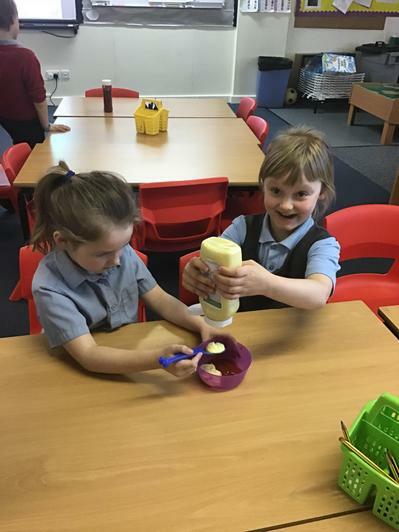 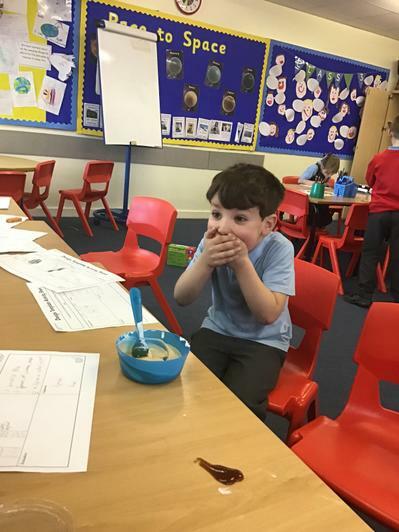 We have tasted different dips and dippers early on in the week and then we made our own 'thousand island' dip as a group. 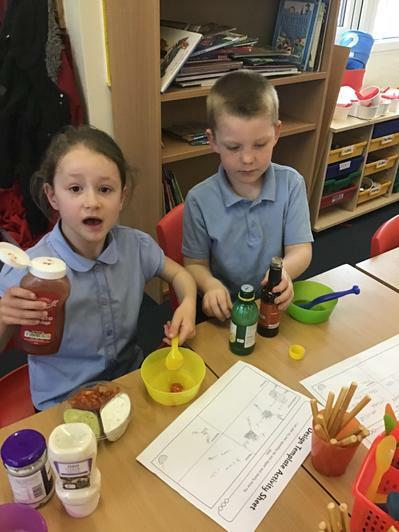 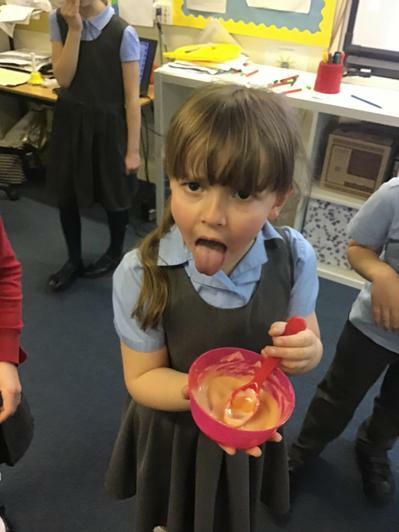 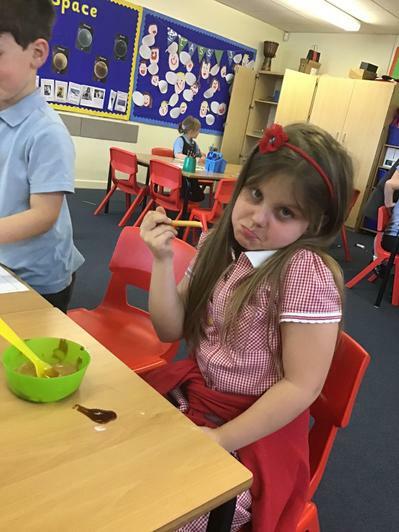 Finally we designed and made our own dip - some more successful than others - but we definitely had a fun week learning about food! 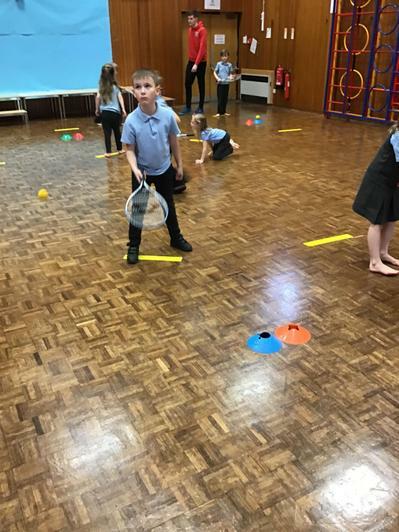 This half term, our PE sessions will be on a Monday and Tuesday. 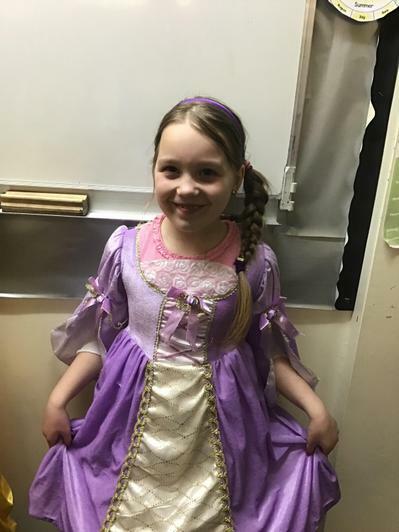 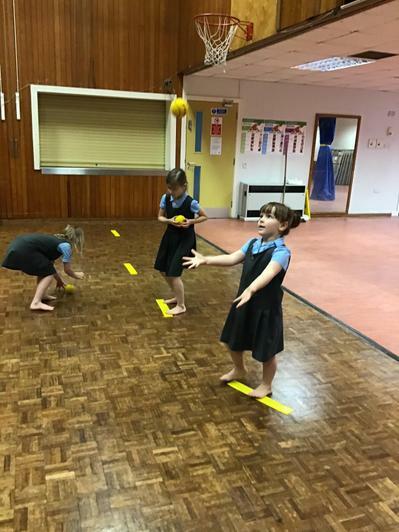 Please make sure your child has their full PE kit in school on these days. 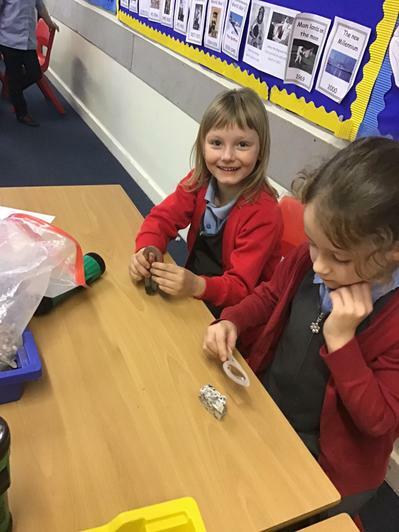 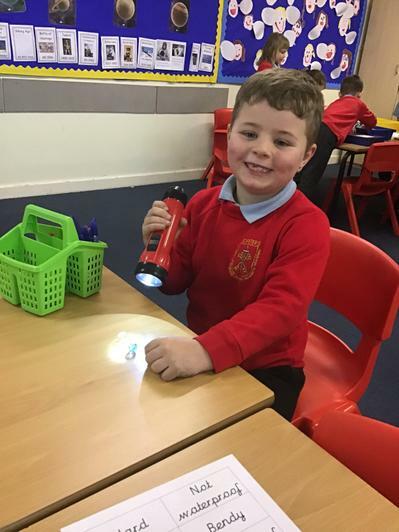 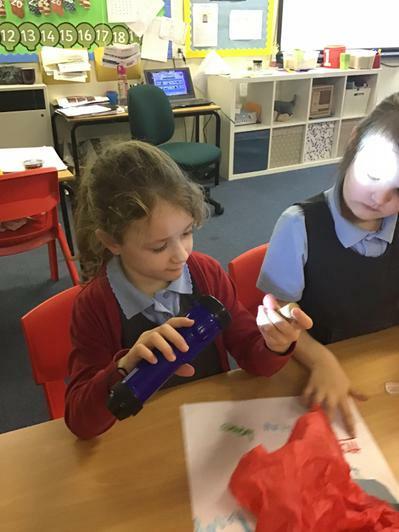 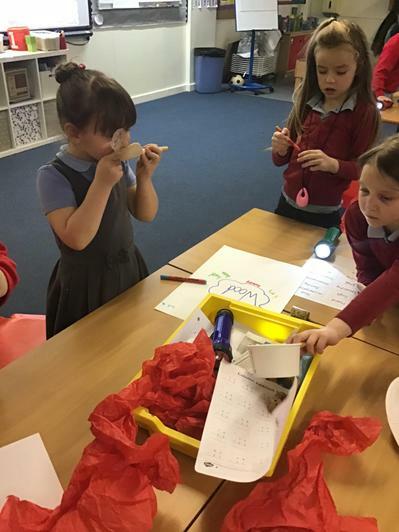 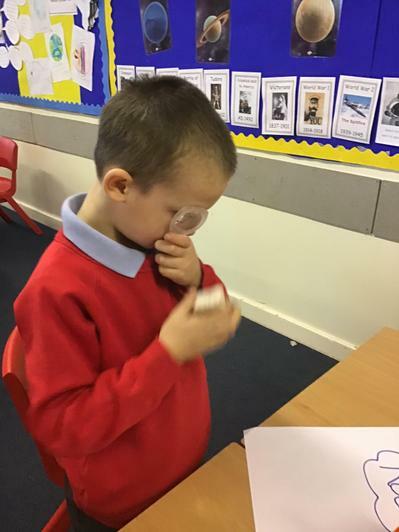 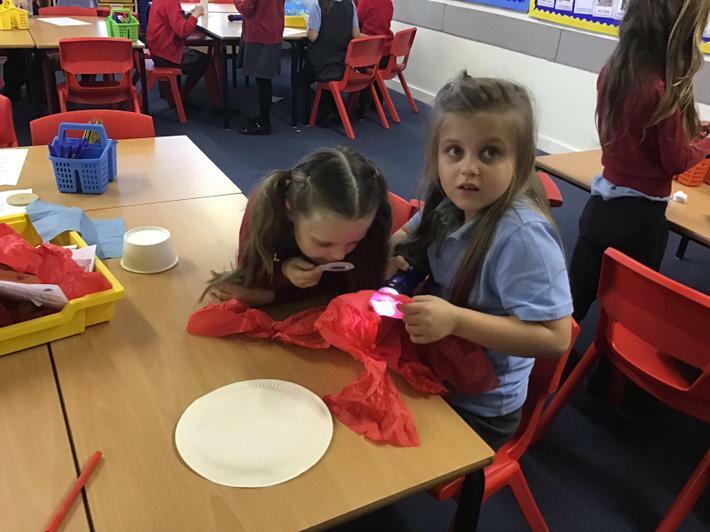 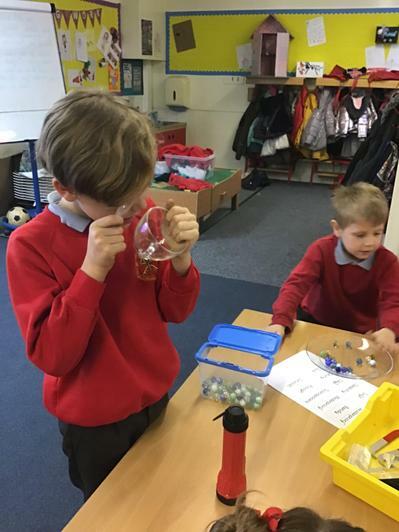 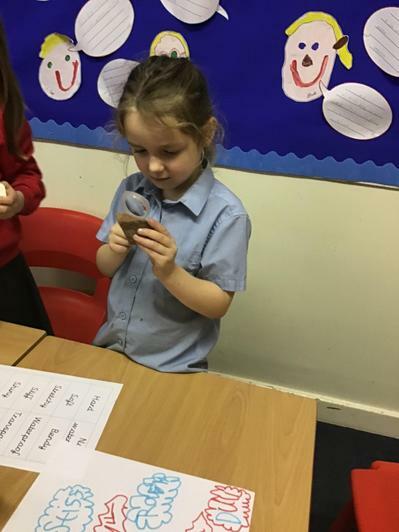 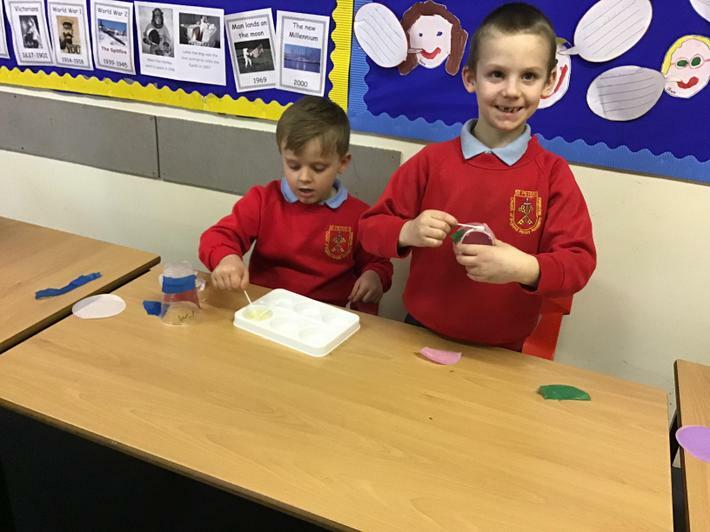 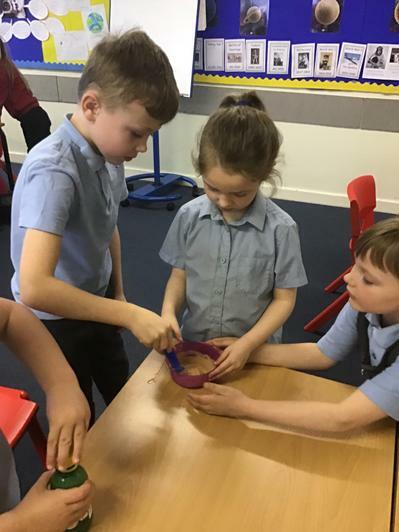 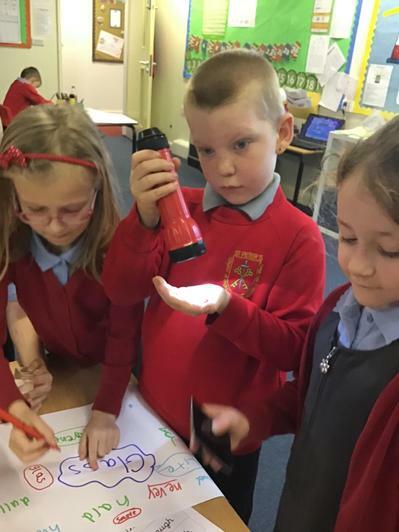 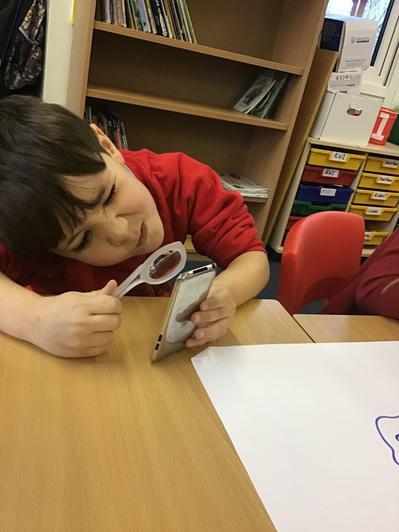 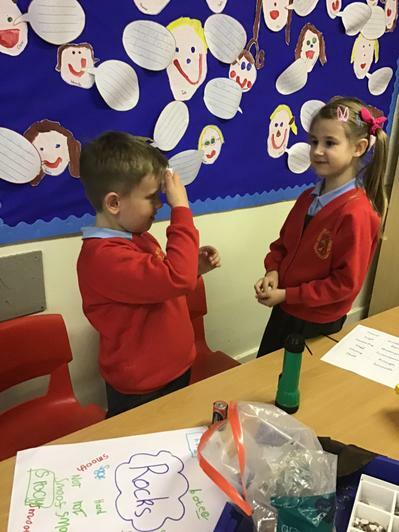 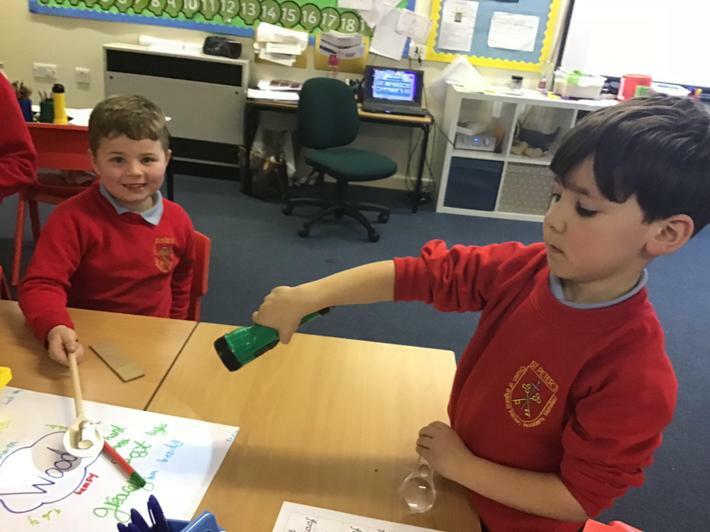 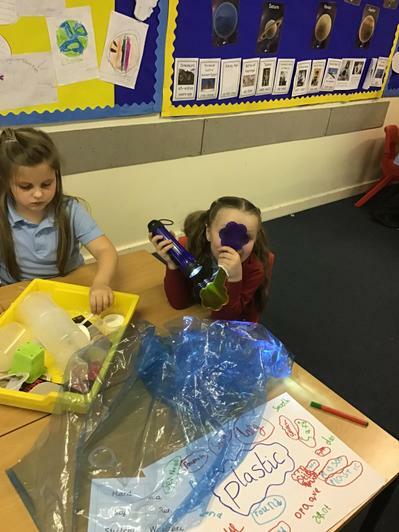 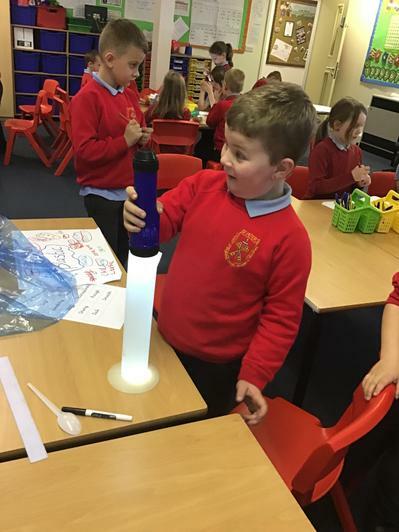 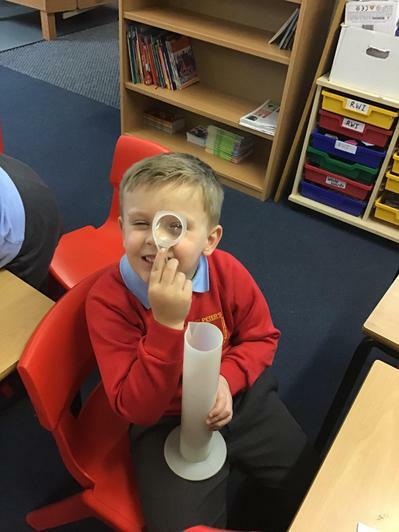 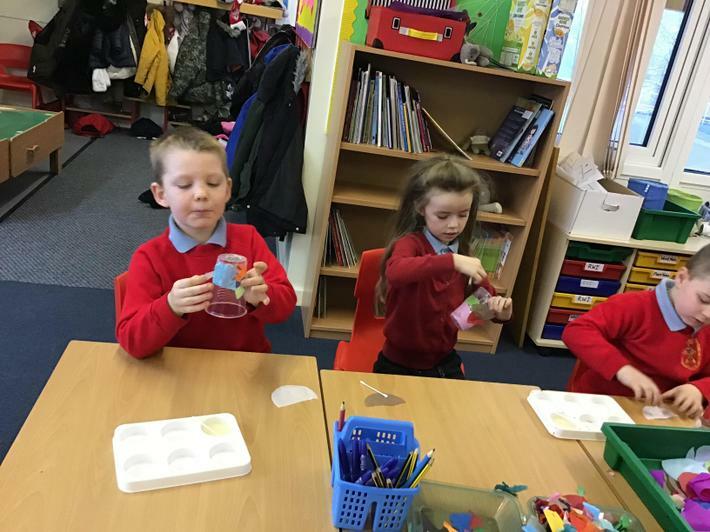 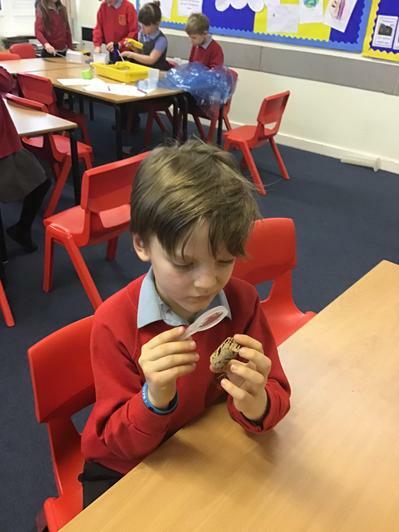 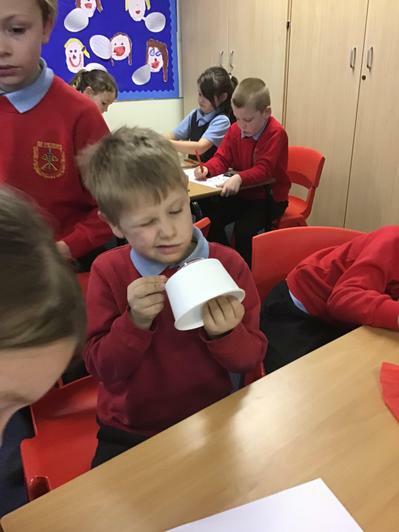 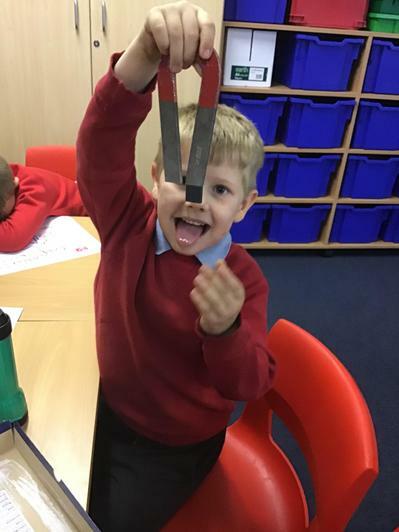 In Science, we have been investigating and describing materials and their properties. 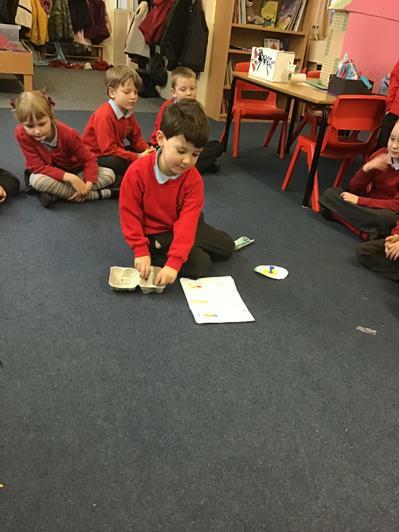 We had a lovely afternoon working in different groups to talk about the different materials. 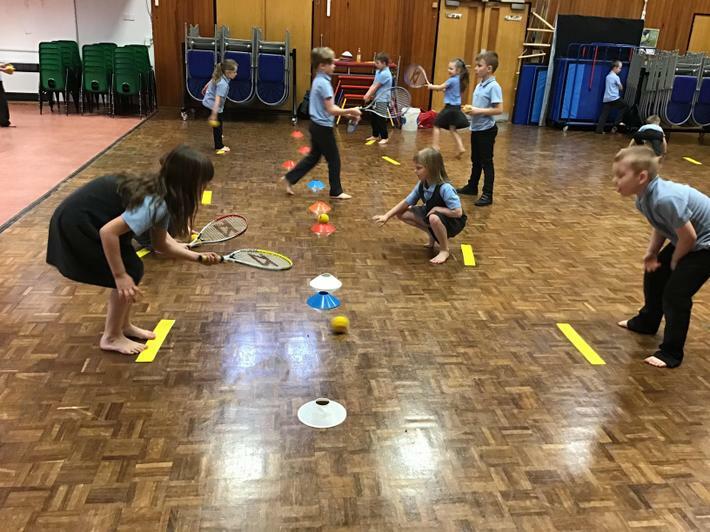 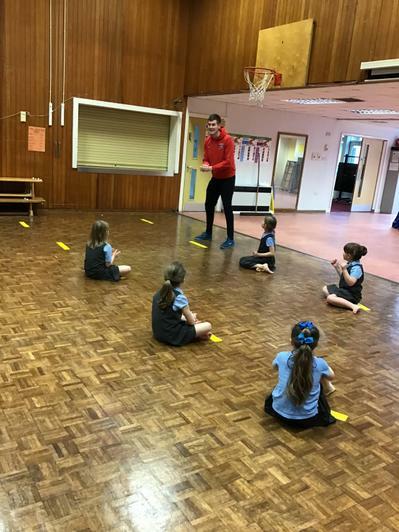 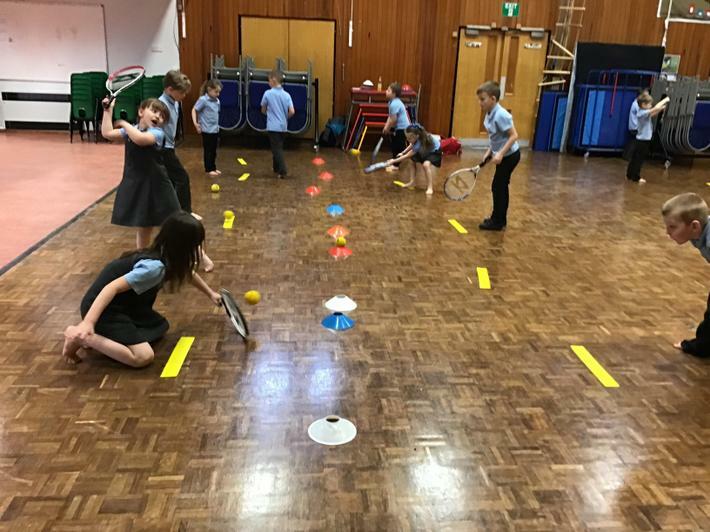 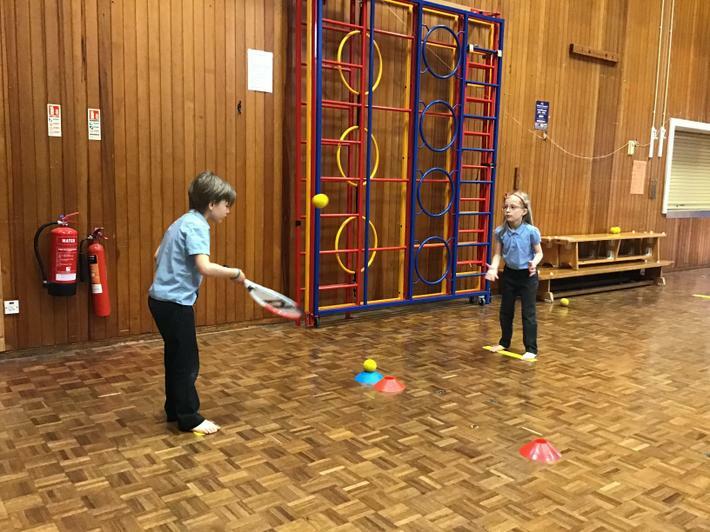 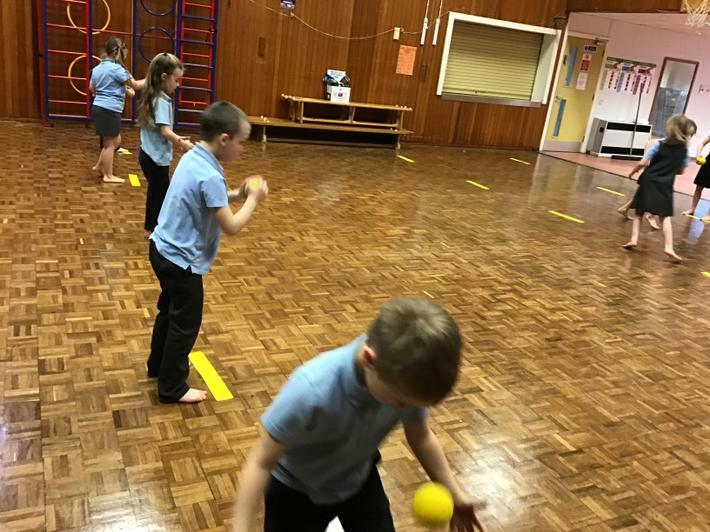 On Friday, Class 3 had a tennis coach come into school to give them a little taster session and learn some simple tennis skills. 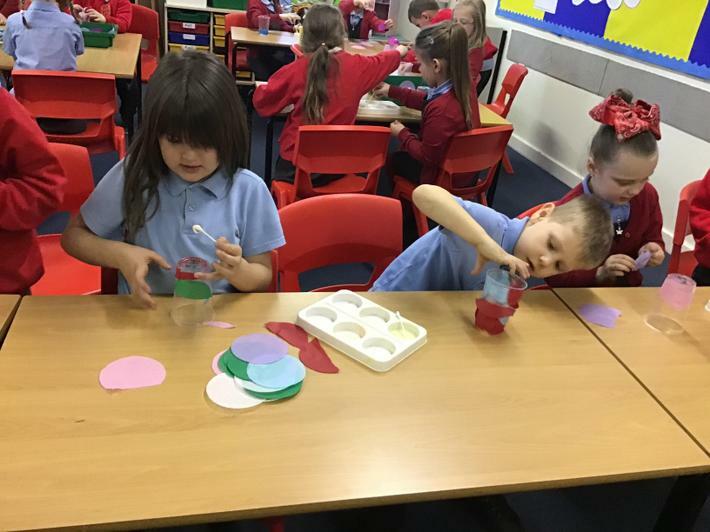 In RE this week we have been learning about the story of creation. 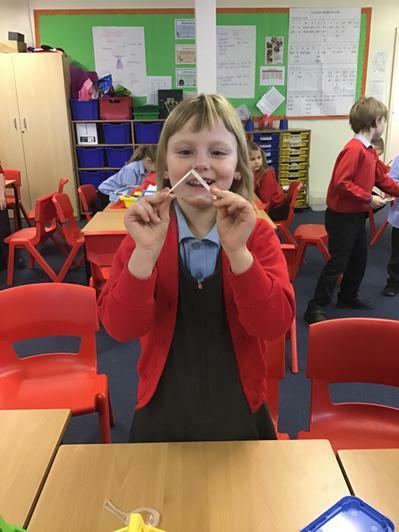 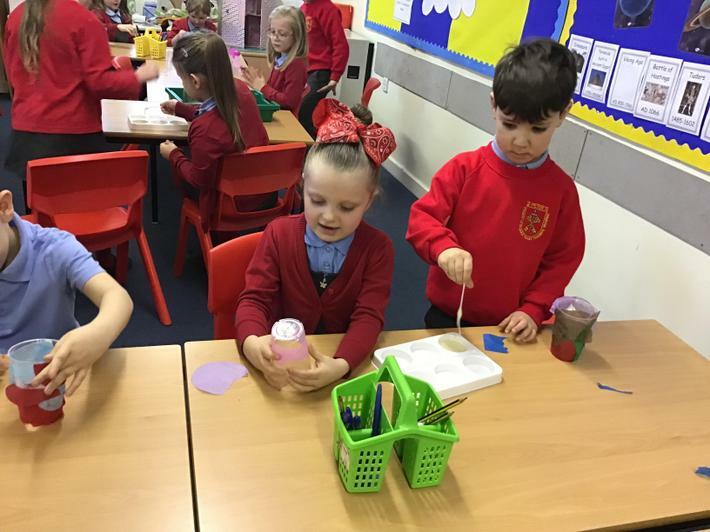 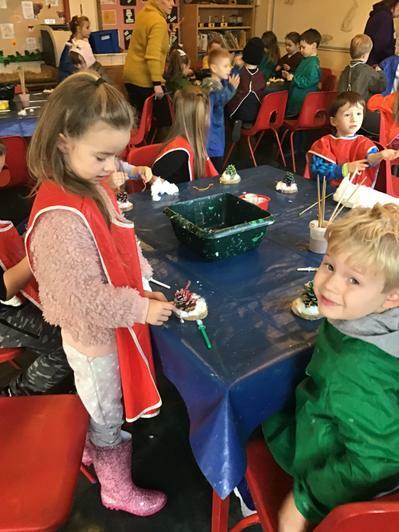 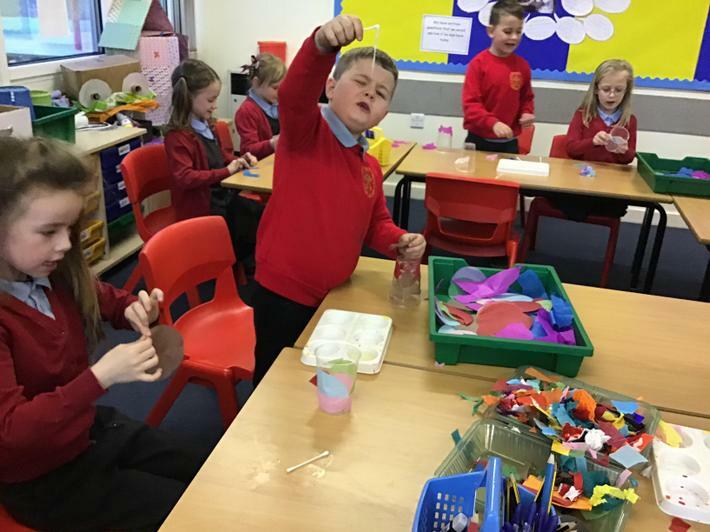 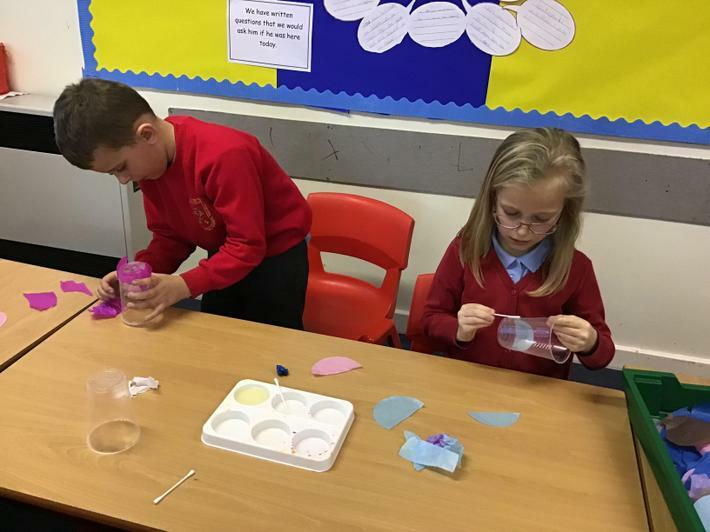 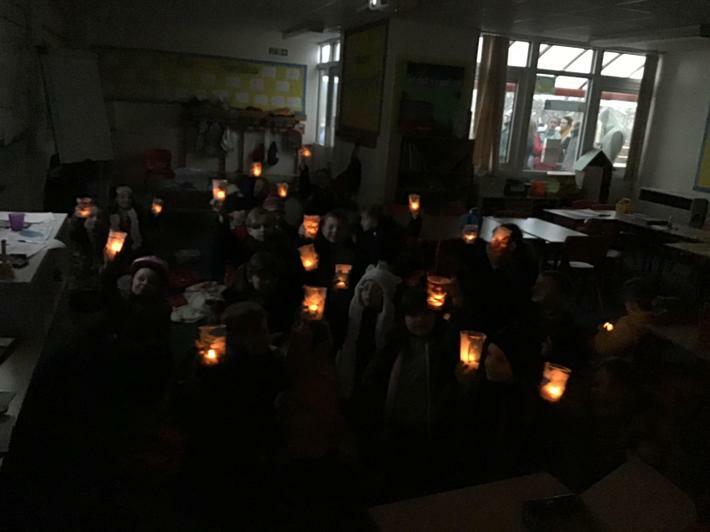 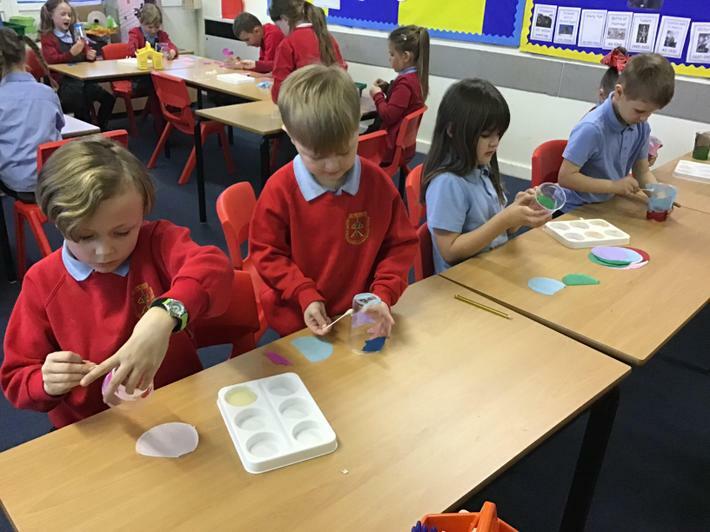 Class 3 have loved making their own candle holders to show how we love God. 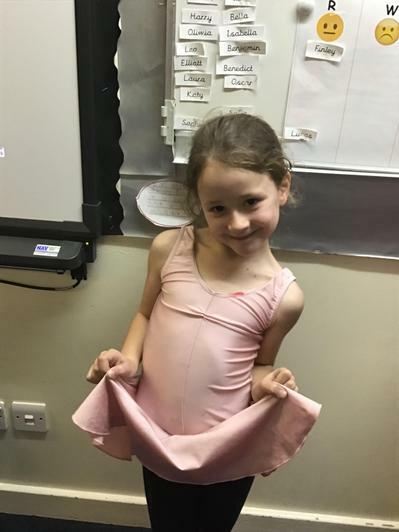 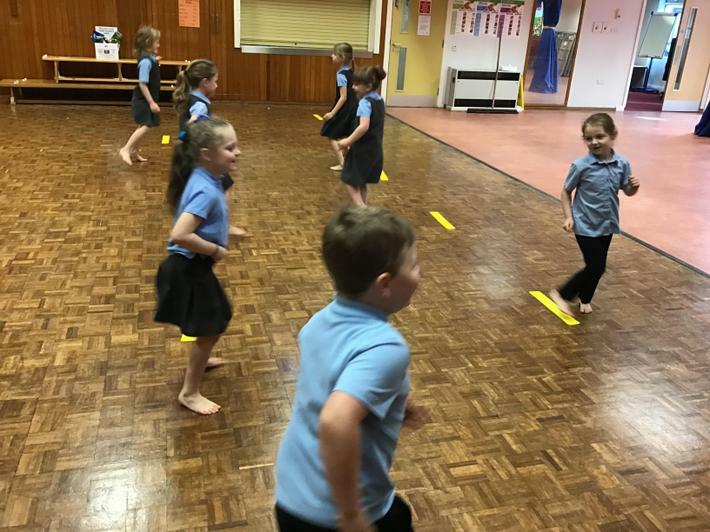 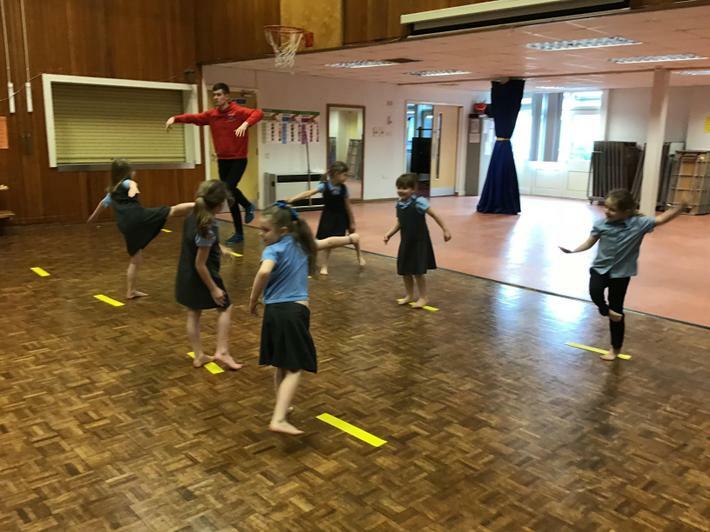 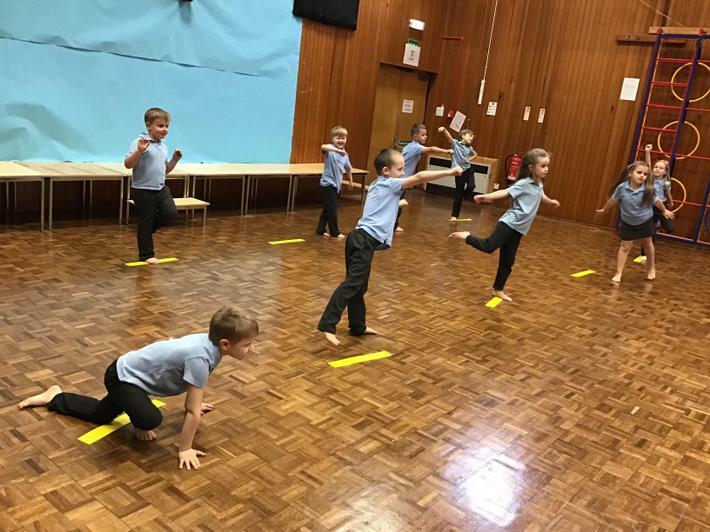 In our indoor PE sessions we have been learning some gymnastics skills. 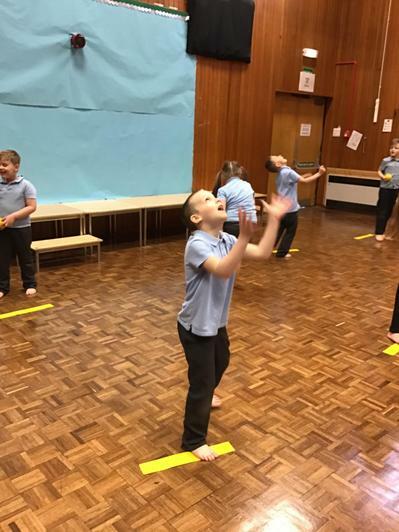 This is us practicing some of the balances we have learned so far. 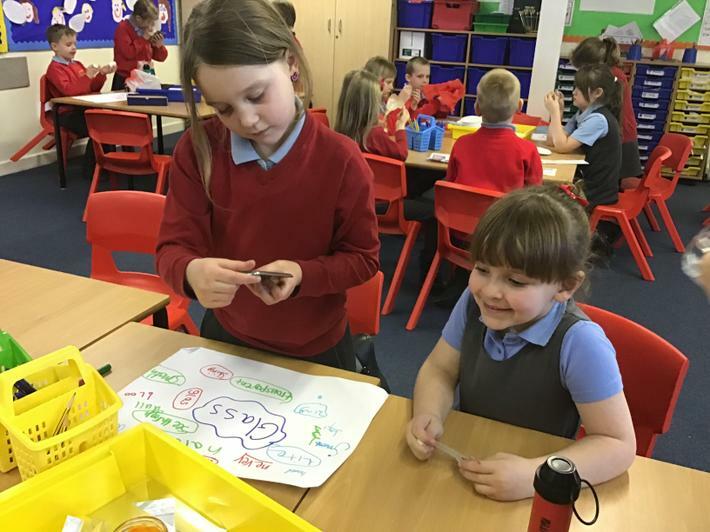 Class 3 love to practice counting in 2s, 5s and 10s and we have really enjoyed this song in our Maths lessons this week. 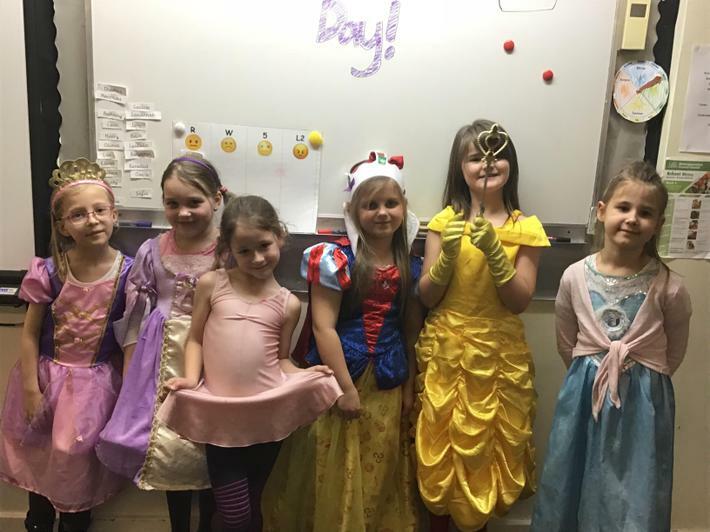 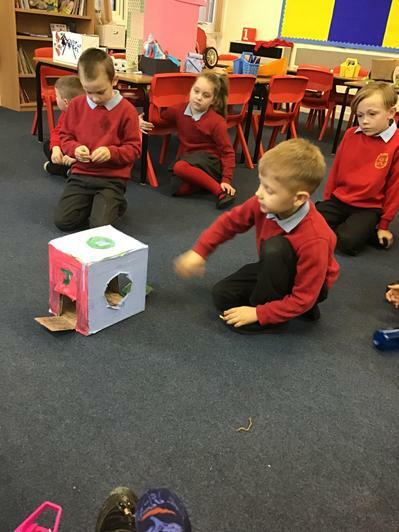 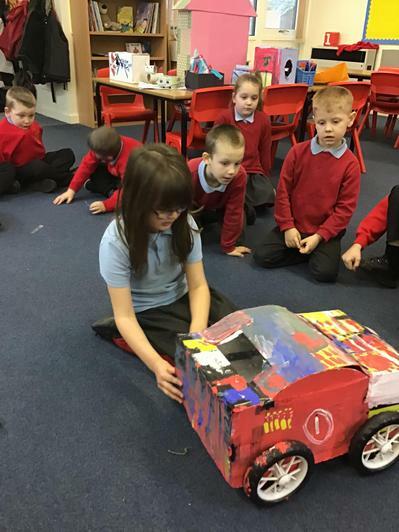 Well done Class 3, I can see you have worked so hard on your 'Toys' topic homework. 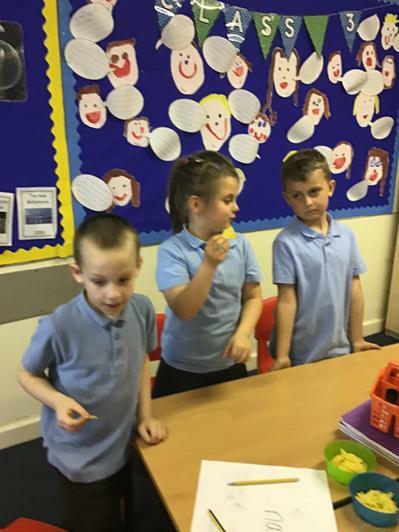 Thank you for sharing them with us. 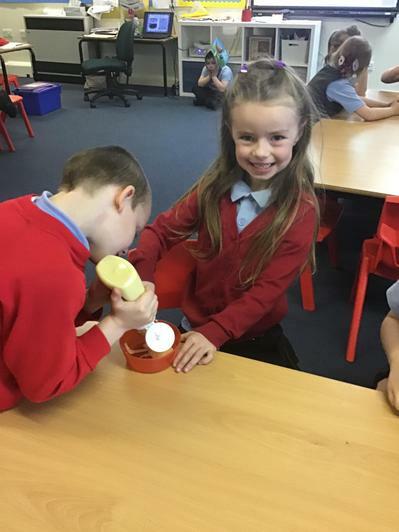 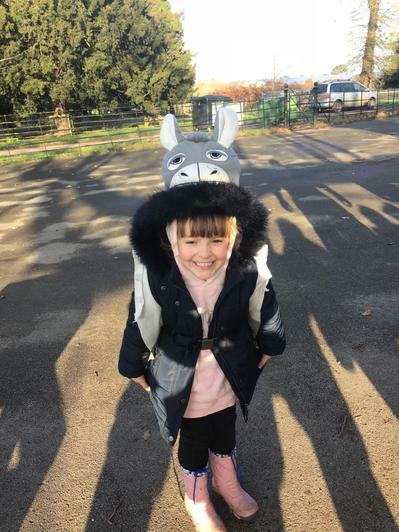 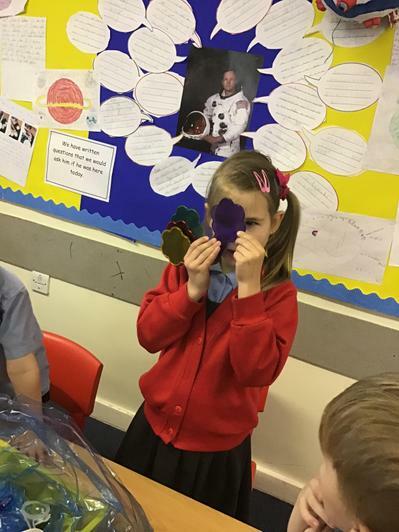 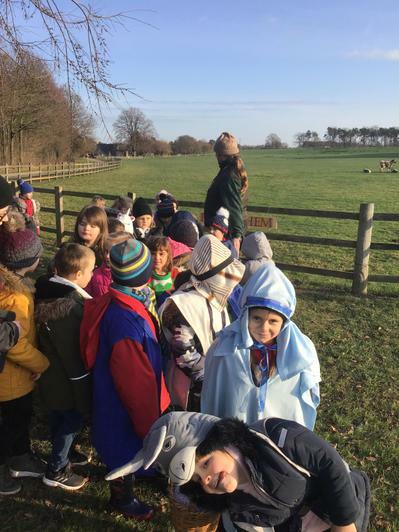 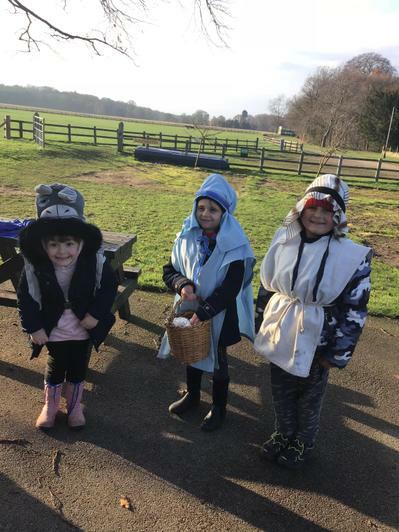 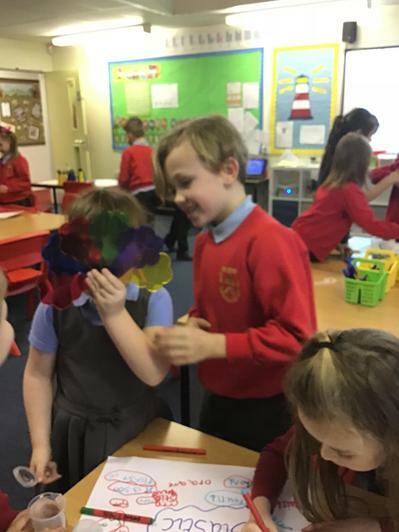 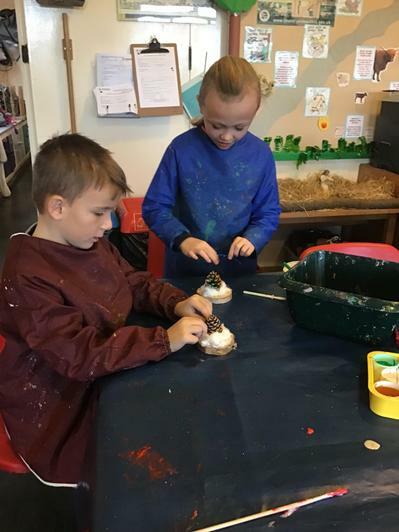 In Science we have been learning about the different seasons. 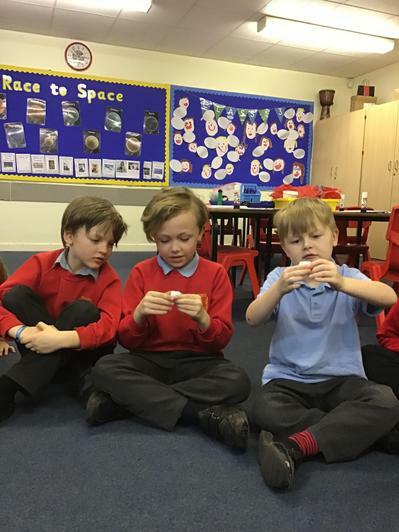 At the end of the topic we made a seasons wheel to show lots of information that we have learnt. 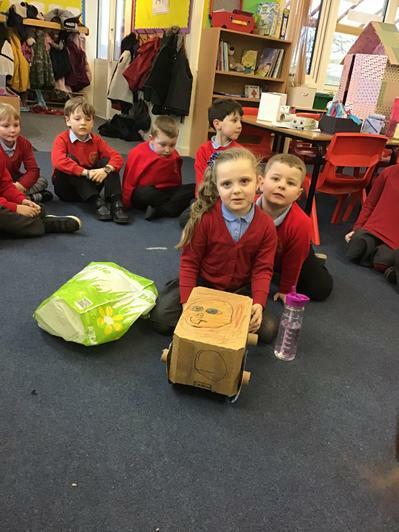 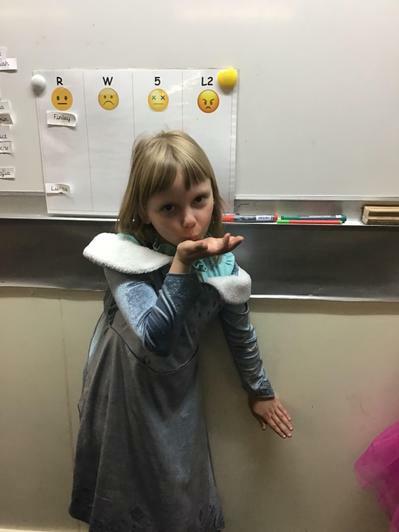 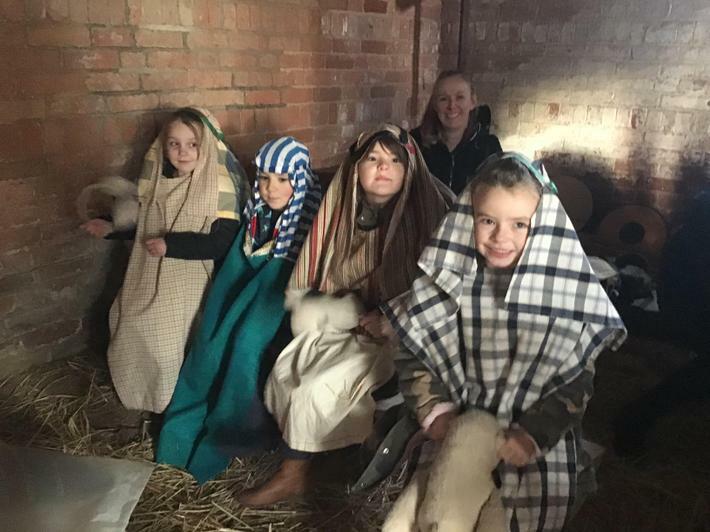 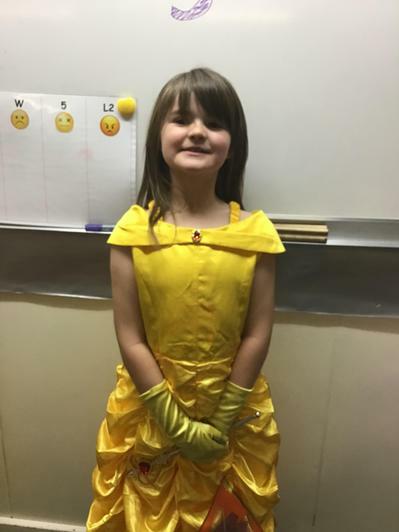 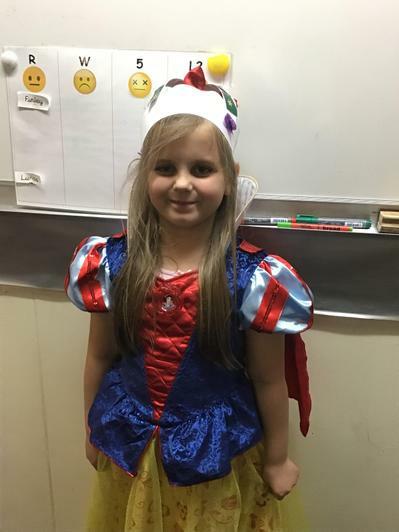 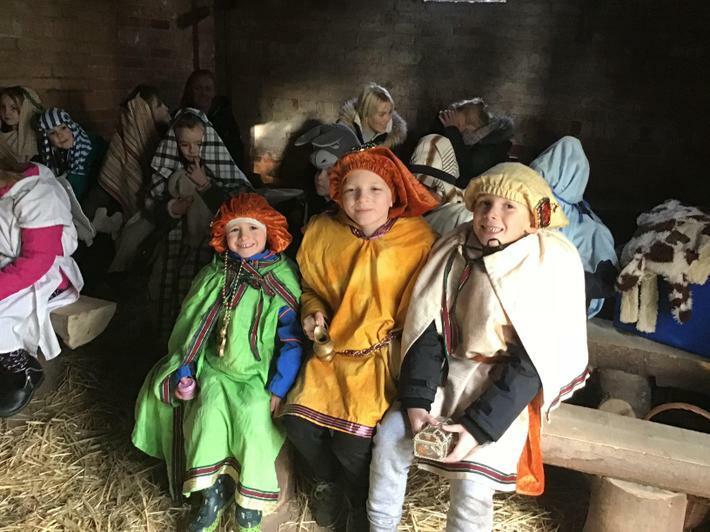 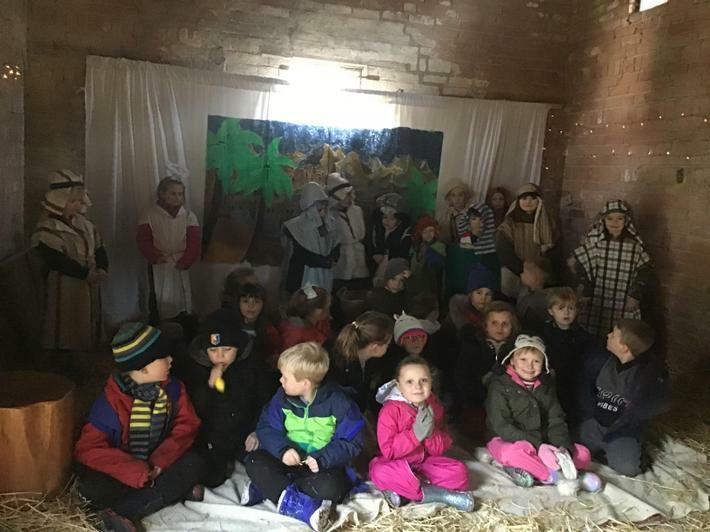 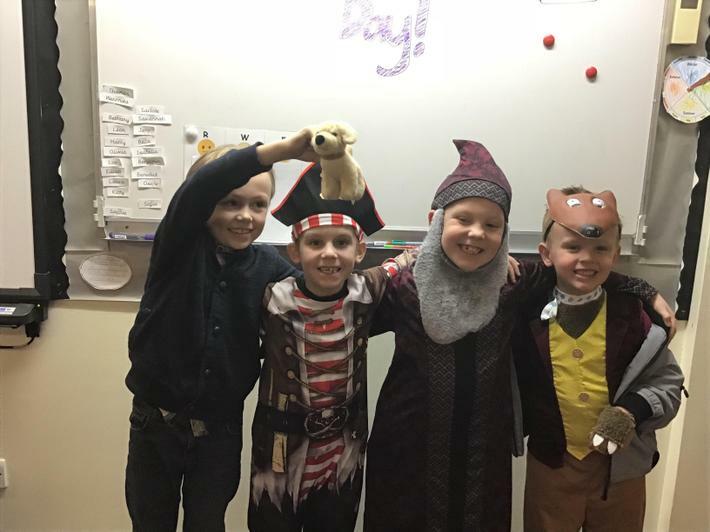 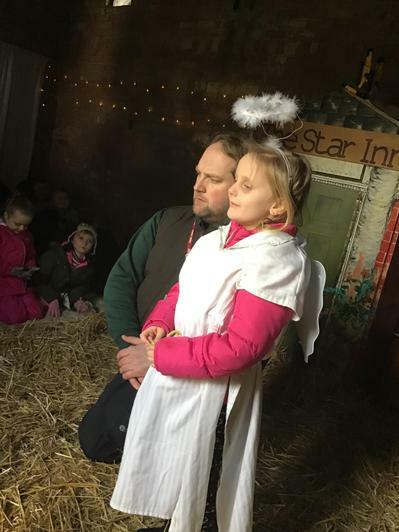 Merry Christmas from Class 3! 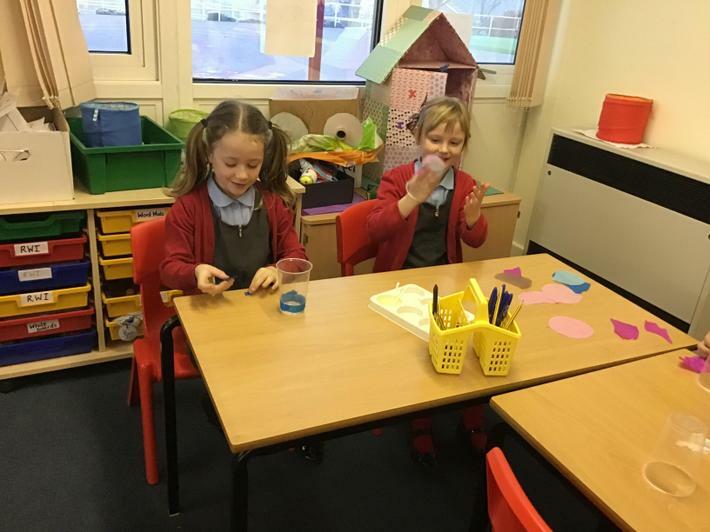 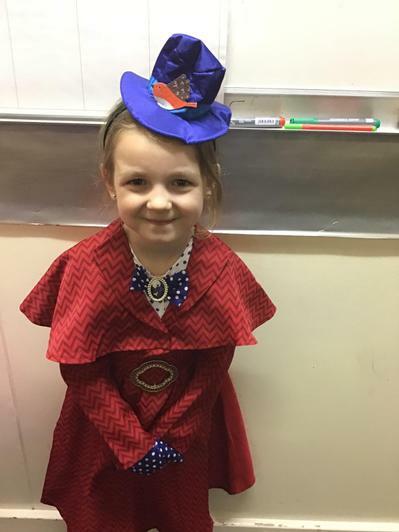 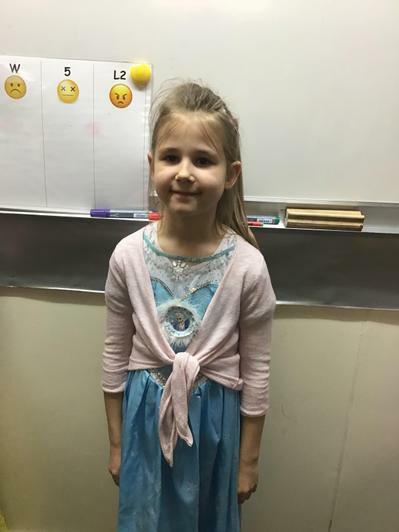 Today, children in Class 3 were wearing blue in support of children living with Type 1 Diabetes. 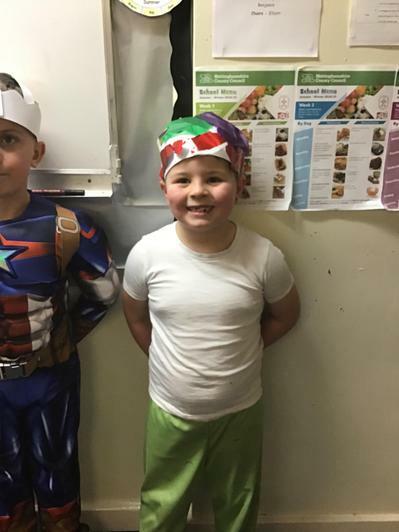 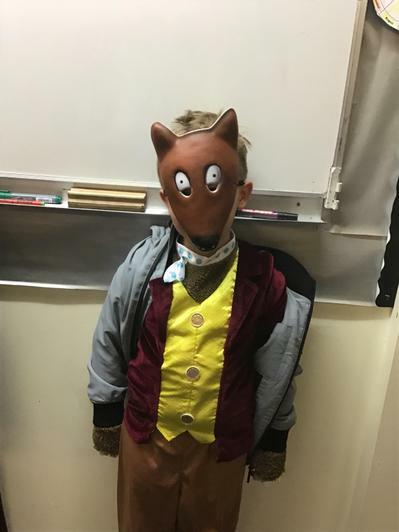 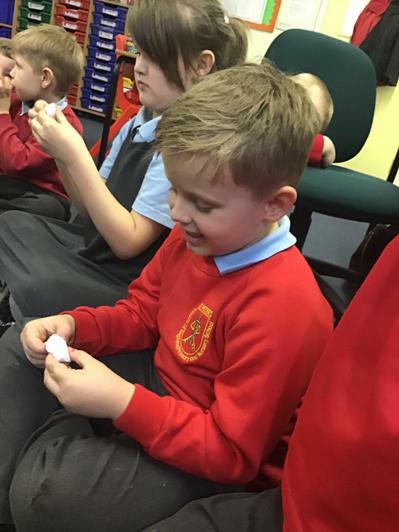 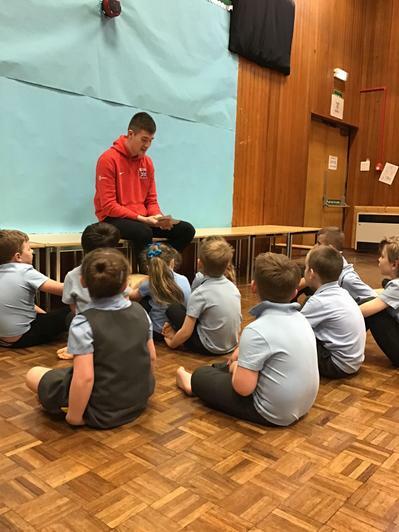 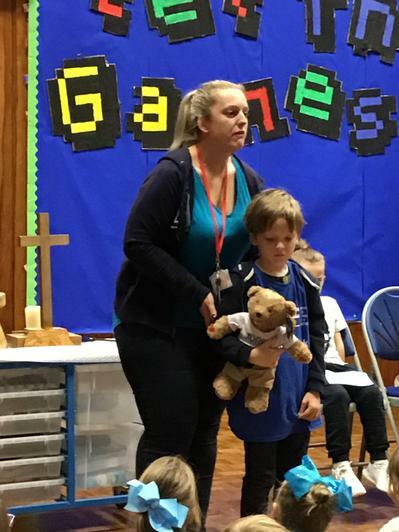 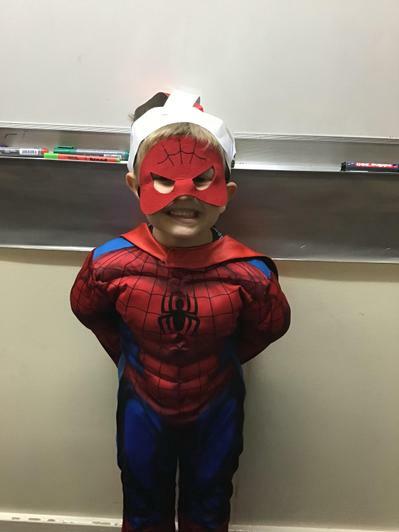 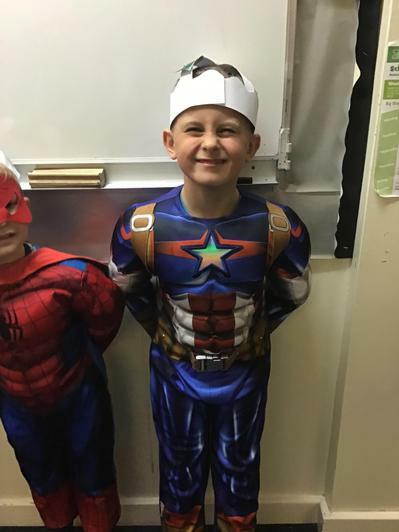 Leon in our class has diabetes and he was telling the whole school about it in assembly this morning. 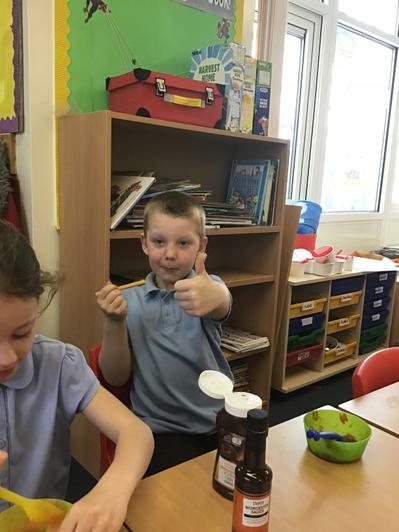 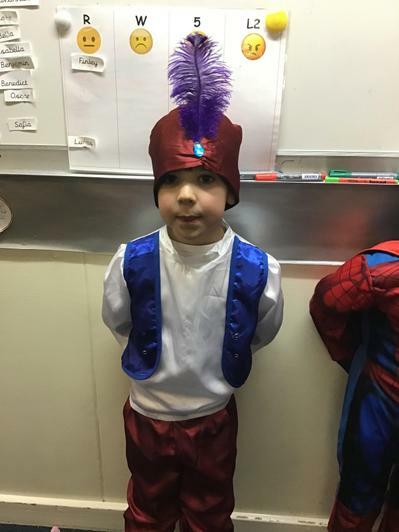 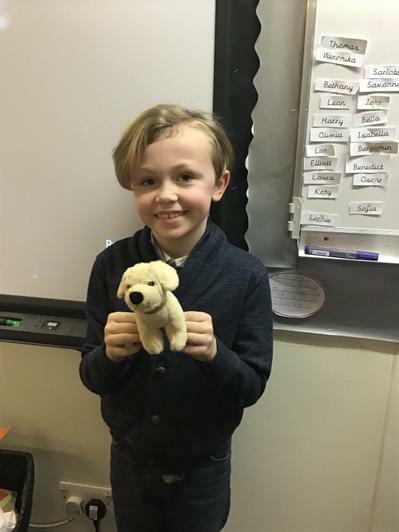 This afternoon Leon has told all of our class about diabetes and what it means. 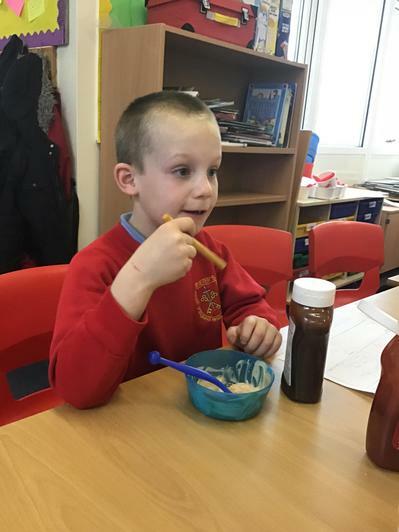 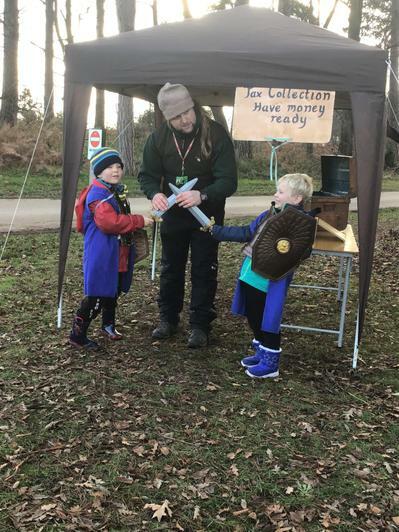 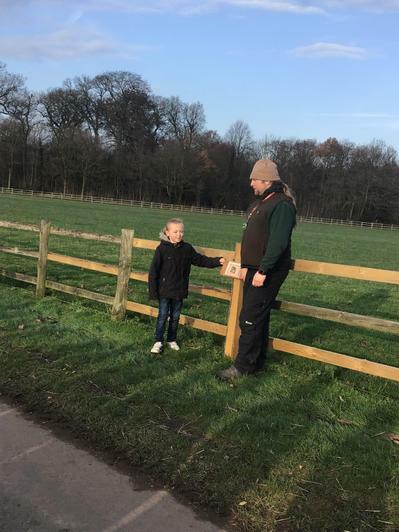 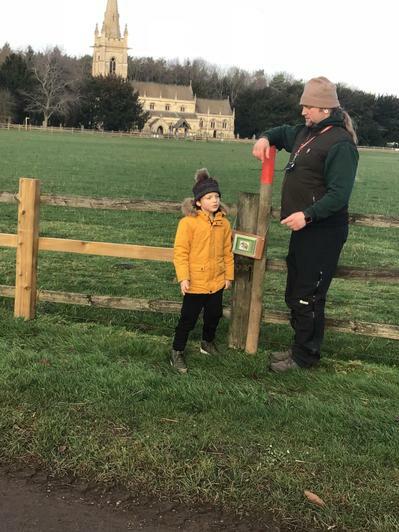 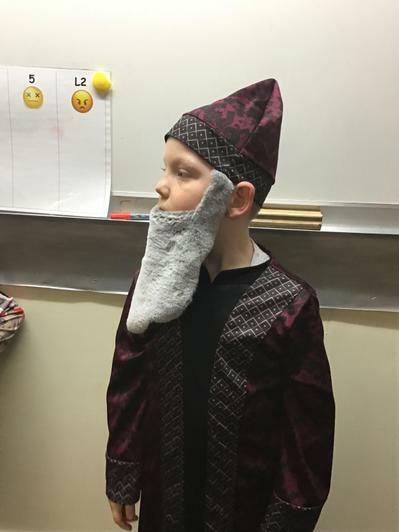 He talked about checking his blood and the foods he is allowed to eat. 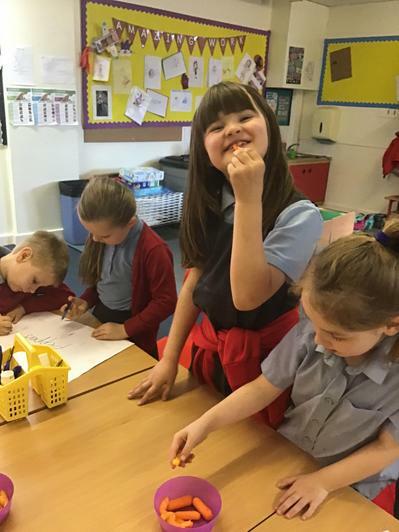 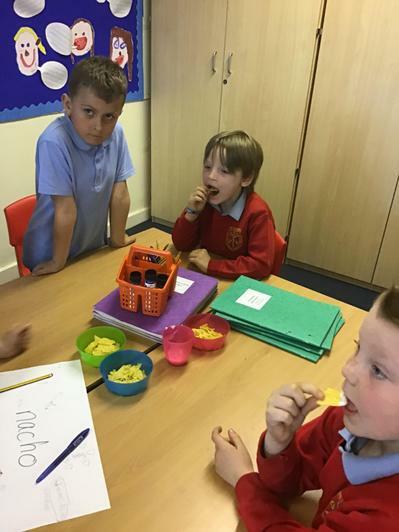 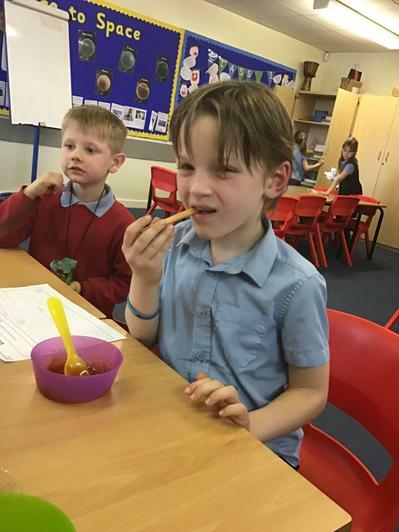 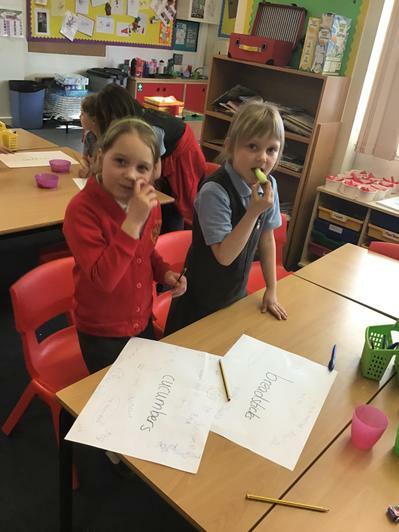 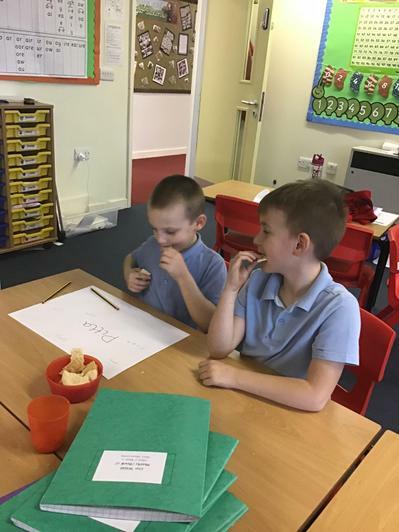 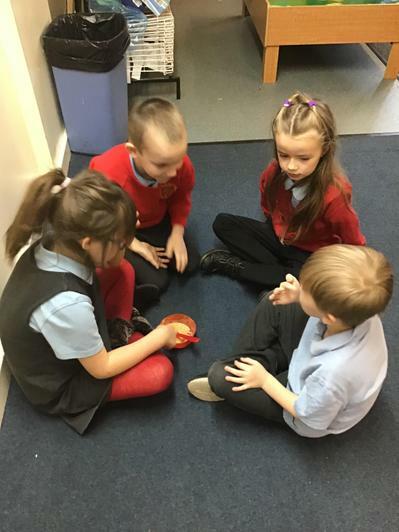 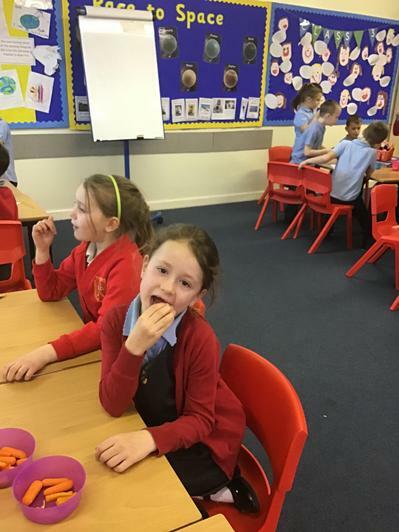 This afternoon Class 3 children decided to swap their fruit to have the same snack as Leon at snack time. 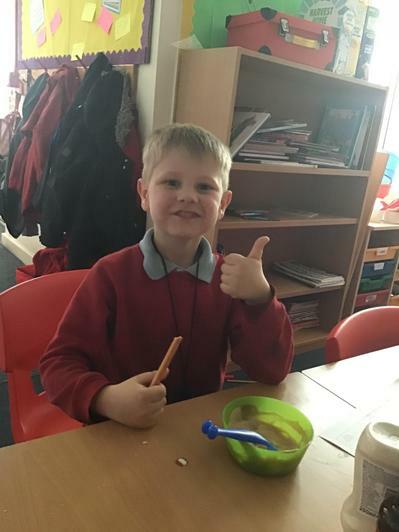 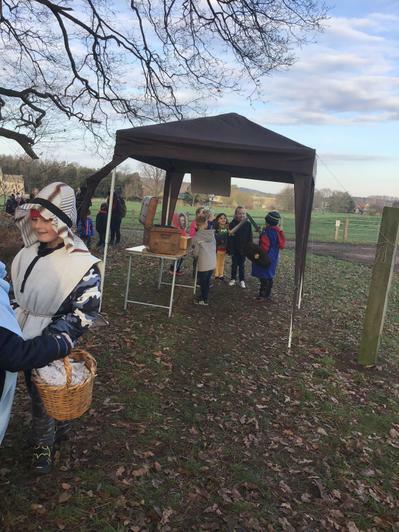 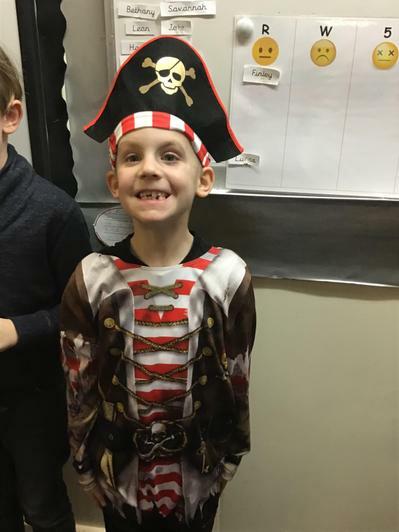 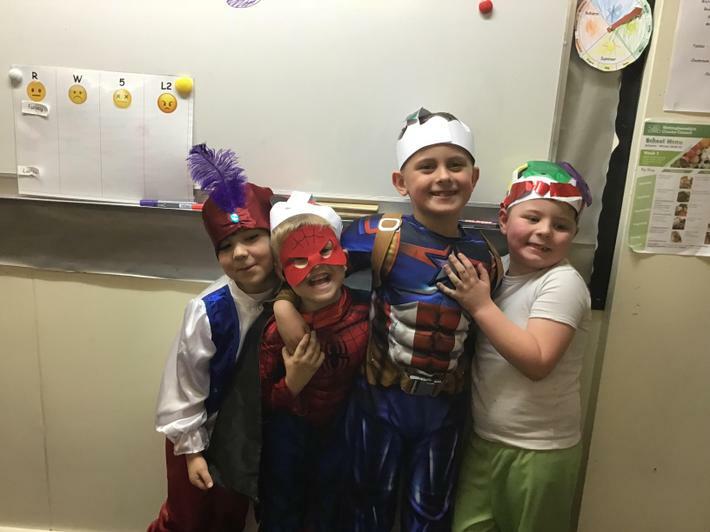 I am very proud of class 3 today, they have shown great teamwork in support of our classmate Leon. 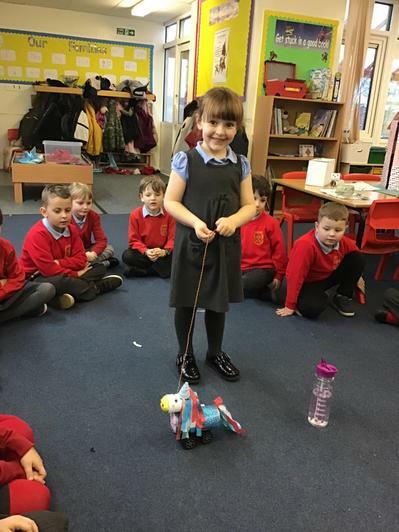 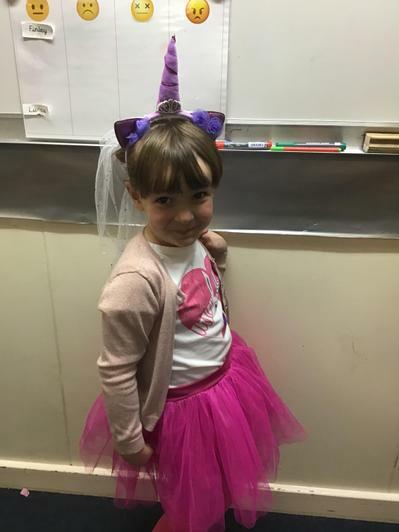 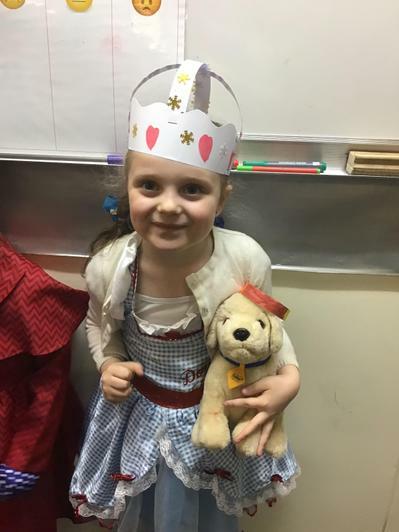 Oliwia worked very hard on her favourite toy work. 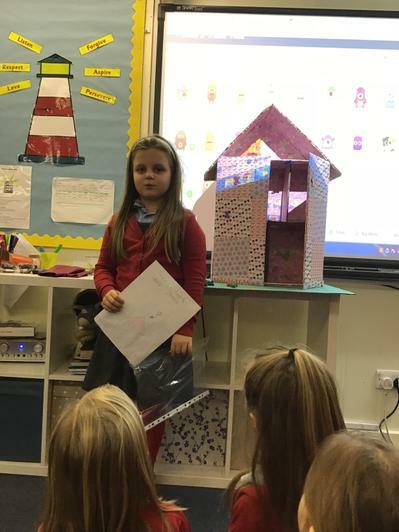 Laura’s beautiful piece of work.